Hey there! Happy Friday! Apologies for the radio silence over here on the blog recently. We’ve been crazy busy with installing models and doctors offices, and photographing all of the projects. We have a lot of project reveals coming soon! 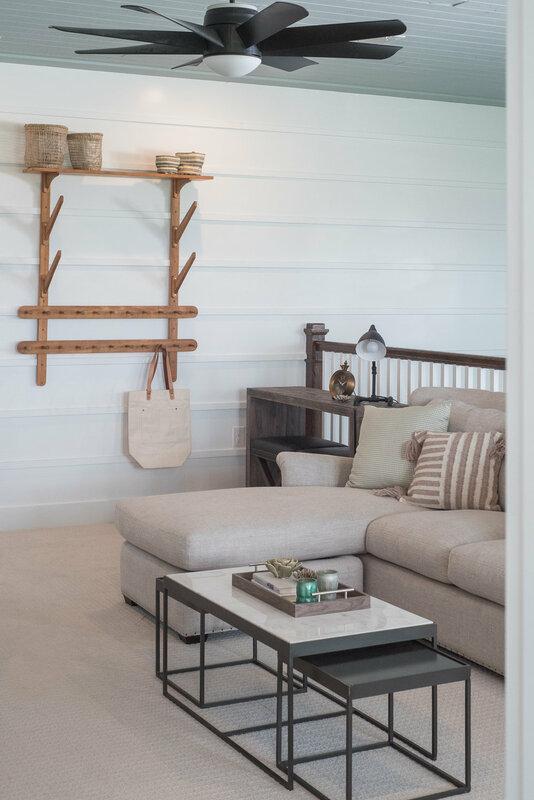 In an earlier blog post I took you through the first floor of this custom model home. If you haven’t already, check out Barbados Reveal Pt 1 HERE. The loft is the first room at the top of the stairs and is designed as an area for two teenage kids to hangout, watch tv, and do homework. The ceiling can be seen from the first floor dining area, so we knew that we wanted this to be a focal point. We used tongue and groove across the entire ceiling and painted it a serene blue. I wanted to keep this girl’s room very feminine but old enough for a high schooler. 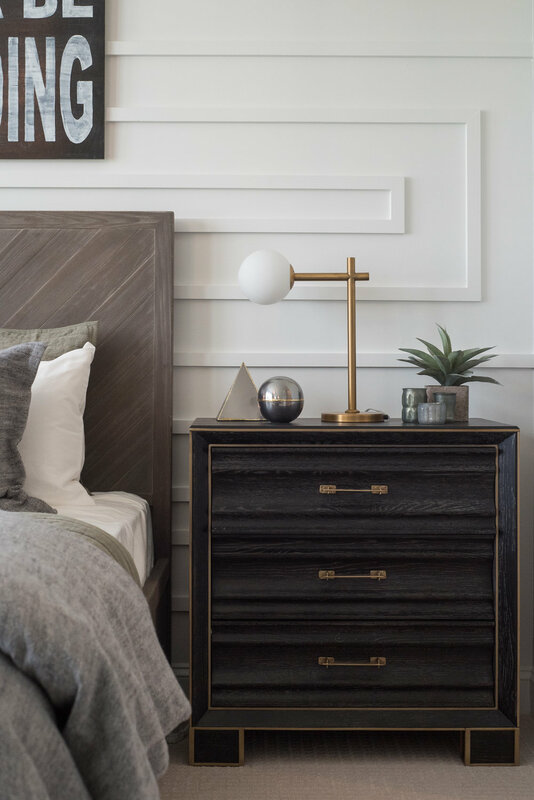 It all started with the tufted bed, and I knew I wanted to incorporate a place for her to get ready for school, and that little console was the perfect fit. Instead of a bulky vanity chair I used an ottoman, which tucks nicely under the vanity and opens up for extra storage. The two bedrooms are separated by a lengthy Jack & Jill bath. The girl’s room has a walk in closet located in her room while the boy’s closet is located right before his vanity. We used an abstract palm leaf wallpaper to add a little interest to the vanities. 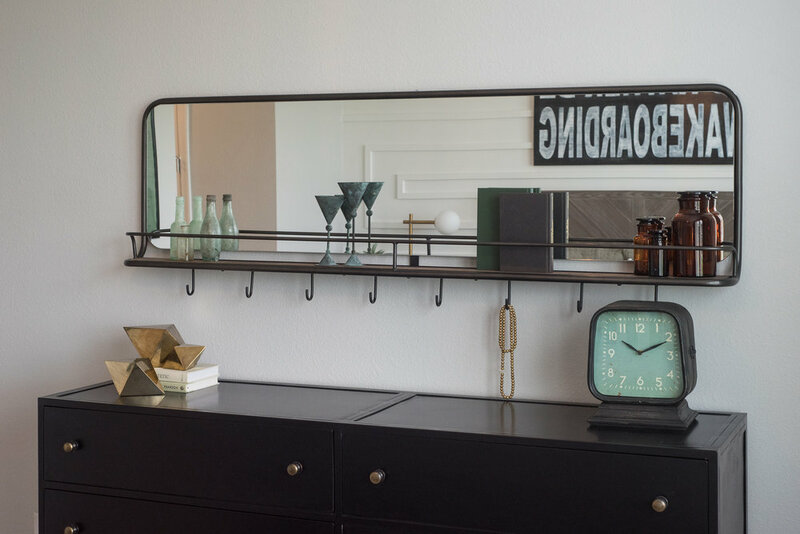 Okay… this boy’s room is hands down my favorite room in the house. 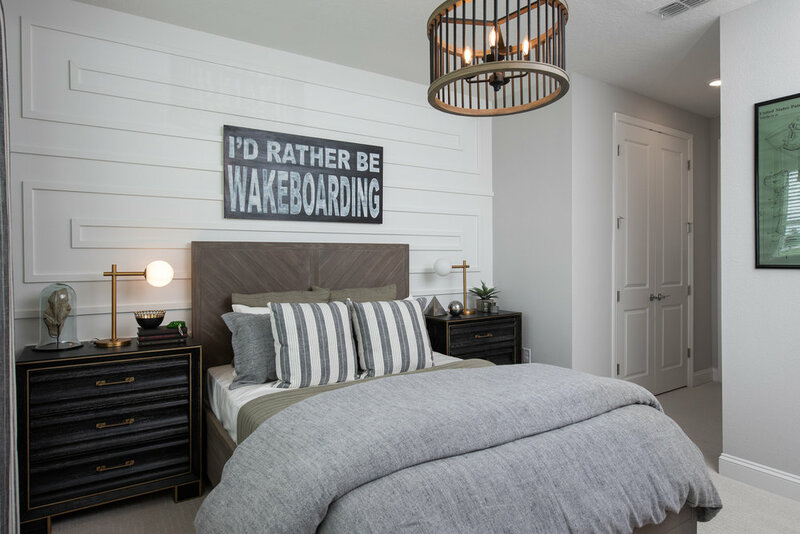 As you can see, we designed this room for a wakeboarder, so we knew it had to be cool and casual. 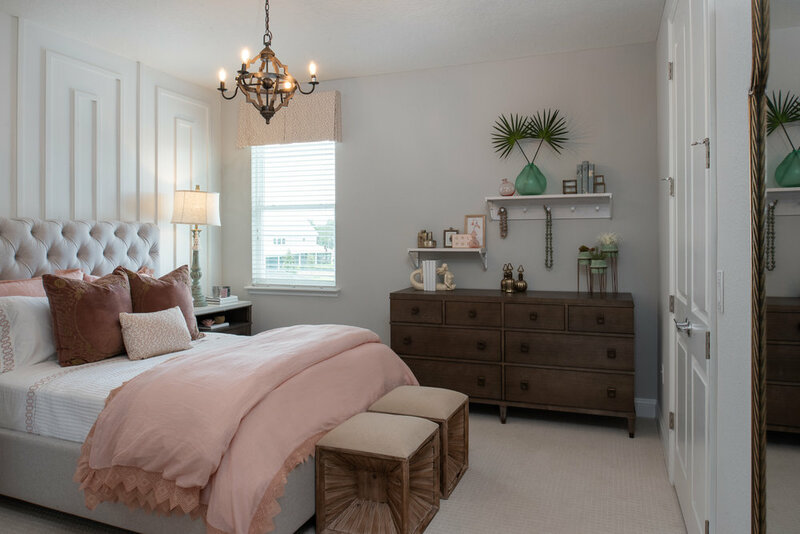 If I had to choose a favorite piece from this room I think it would be a tie between the lamps and that pharmacy mirror above the dresser! Thanks for taking the photo tour of the second floor of the Barbados Model. Stay tuned for more model reveals soon!